This has got to be one of the most ridiculous things I've ever read. And it's proving my point actually. Mileena fans are obnoxious character loyalists always ready to create stereotypes or sh1t on other characters, if their beloved empress wannabe is nowhere to be seen. 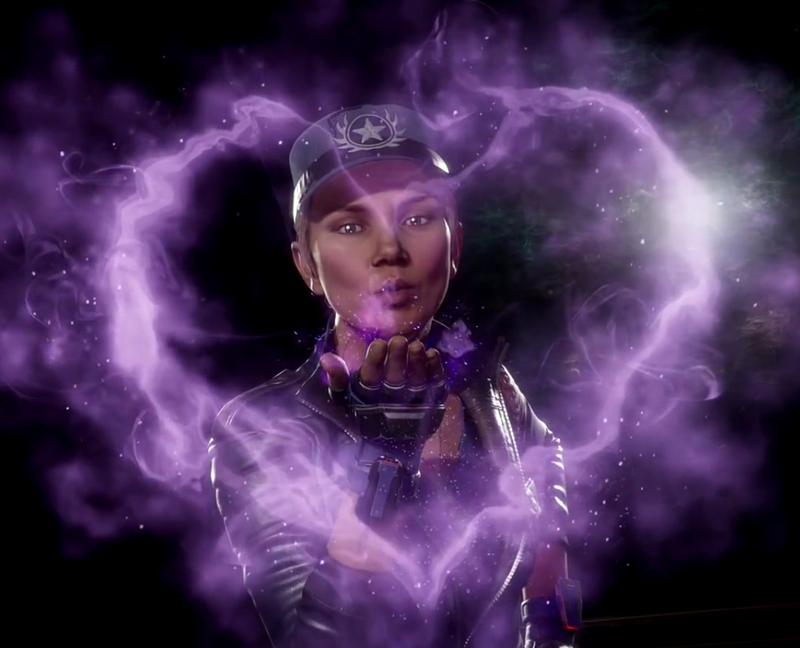 Uhm, I love Mileena and Kitana just as much, I am neutral in this pathetic war, the only characters I war upon are the joke fart, the tekken wannabe, and the two pathetic daughters. + I wouldn't actually mind if Mileena isn't in the vanilla roster, I would take her as DLC just as much. Same with Ermac. Not surprised, but really hope he’s reinvented. The amount of gun based characters is getting out of hand. He was nothing special, gimmicky character with a blade, guns and bombs. So bland. He has potential though. The previous game's krypt technically involved a great deal of walking too, and frankly it was a chore, so this could just be a tedious achievement tacked onto the same system for all we know. Not to mention since it's a video game, and we have no concept of the scale to which the Krypt is built, nor how long it takes to traverse it, we have no frame of reference for what actually constitutes a mile or how long it will take to walk one. Will this achievement take months, or 10 minutes with the joystick taped down? Who knows? A lot is leaking now guys and some people are not going to be happy.. Check the steam link, there are a bunch of new achievements similar to the Erron Black one. KUN, KAN, CAS, DVO, JAD, CET, FRO, SON, KAB, KOT, JAC, TER, KOL, LIU are the initials of those alleged characters. I don't get why Crappy, if the Steam leak is true, is in the game. I don't get how they choose the roster. And almost everybody don't want that stupid character to come back they bring her back? And it seems no FUJIN, RAIN, NOOB, NIGHTWOLF, HAVIK, REIKO. And I would prefer Li Mei or Sareena instead of Frost. We alredy have one guy with ice powers. If some of those characters come as DLC that's stupid also. Not everyone can buy DLC. So if they are DLC I can't have them and the ones I can have are the ones I don't want. Games are expensive and DLC are also expensive. I will never ever again buy a MK game. I'm so disappointed. No REP or HAV huh? Well I'll keep hoping they'll make DLC. Happy to see Kotal back however. So far I got Kotal with the bonus of Baraka (whom I desperately wanted in X) so I'm not angry from what's being leaked. A moderator should update the initial post or make another thread, cause this is huge!!! Yeah, You're right. I'm pissed, but it's only me :-). And a lot of people are happy, that's good and normal. What I'm saying is I don't buy the same crap twice (Crappi). Erron Black, Liu Kang, Cassie, Kotal Kahn, Frost, Jade, Jacqui and either Kung Lao or Kung Jin. Three new characters although any of them could be new but those are the characters that match the initials. Frost is an interesting choice, the others are more or less what I expected. Still waiting on Shang Tsung, Kitana, Johnny Cage and Noob. That is pretty much the entire roster isn't it providing it is about 25 characters? Excluding the DLC of course. Welp! No Kitana in there so far... maybe we will be seeing Jade next week. Imagine if she has a Kitana variation! Just like her debut back in MK2. Don't care for Jacqui. If you wanted another Kombat Kid then it should've gone to the more popular Takeda or the more interesting zoner Kung Jin so we could get one of the guys there to make it even. Now it's just Cassie, Jacqui and most likely Frost while Sonya leads the charge. I'm honestly not surprised. I've been saying ever since we saw the tower modifier I thought Reptile would be cut. A lot of people have been insisting that he has one of the best "never sat out records" of any character... but to that I say, "So you're saying he's overdue to sit out?" I'm guessing Frost made it for the same reason she got the cameo in MKX. She functions as a defacto Kombat Kid, even if she's been around since MKDA. Assuming 1 of those mystery names is Kano's hotly rumored son, they're likely trying to add new blood to the younger generation roster. And oh look, no Rain. Color me not at all shocked.